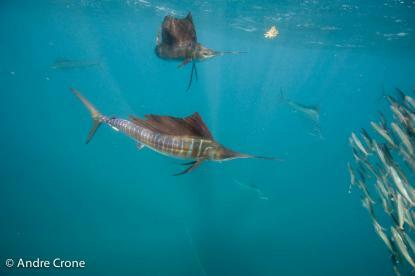 The Sailfish are well known from the great BBC Life series and other TV programs. Elysia Productions has the same boat and same crew as the BBC chartered. We will spend a total of 6 days stay at sea, which is long enough to have a big chance to have sufficient time with the Sailfish in the water. We are looking for so-called bait-balls, which are schools of Sardines. 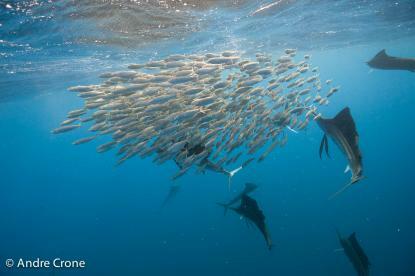 These schools are found by Frigate birds who predate on these schools as well. 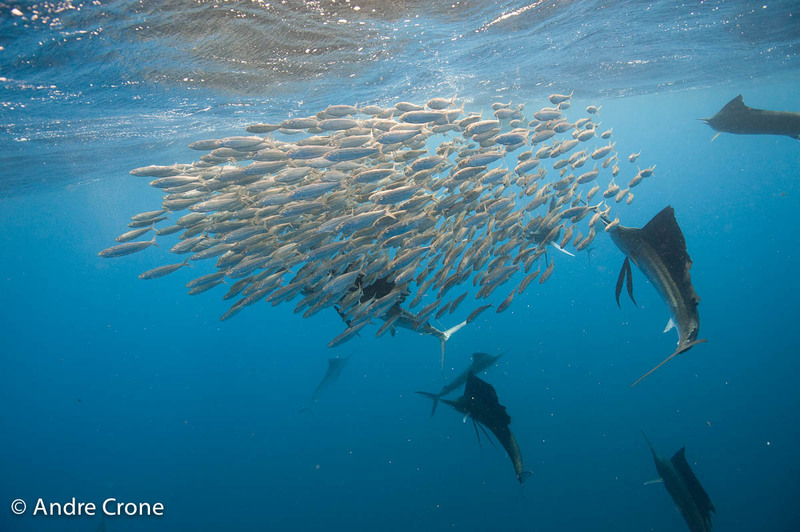 The bait-balls are formed by the Sailfish when they are hunting on the Sardines. We'll usually get very close to the bait ball before we enter the water. This is necessary because the Sardines swim very fast and it is hard to keep up with them. Most of the in-water time will be spend snorkeling because the bait-balls move so fast that the use of scuba gear is almost impossible. It is possible we use scuba, but then the bait ball must be so stable that it stays in one place, who knows, we have that luck! Last year we were even lucky enough to see Dolphins on the bait balls as well. We also had a great encounter with a Whale Shark. The trip will take place from the 2nd of March to the 9th of March in 2012. There's only one place left, so you have to be quick if you're interested. Contact Andre Crone if you are interested in this exclusive experience.